Power & Motoryacht Ride of A Lifetime featuring (CAUGHT UP)! 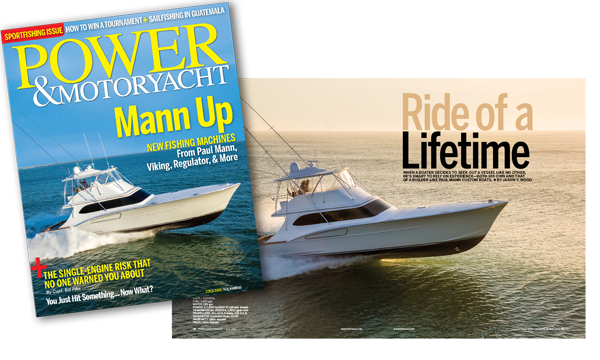 Paul Mann Custom Boats is so proud to be blessed with the cover of Power & Motoryacht’s July issue! We were honored to have Editor, Jason Wood write such an outstanding article about the relationship we establish between Paul, our client, and our team of highly skilled craftsmen to complete such a gorgeous, high performance sport fish. The newly splashed Paul Mann 60-foot CAUGHT UP proves the difference a custom build can make. Click here to enjoy reading this article, but then come see us here in Manns Harbor!